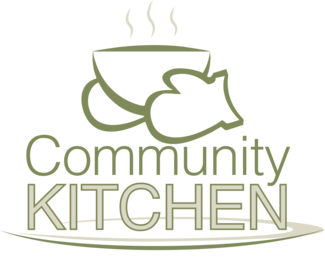 The Tree of Life Ministries Community Kitchen provides a meal to our neighbors in need on a weekly basis and counts on dedicated volunteers to make it possible. Small groups of friends, families, neighbors, church groups, etc. come together and commit to providing and serving a meal to make this a success. Community helping community! Please call with any questions you might have about this ministry-- and sign up!! Thank you for blessing your community with your service! The host group provides a meal of their choice. A meal includes main course, side dish(es) and dessert. Tree of Life (TOL) will provide the drinks, paper products, and serving utensils. Be prepared to serve from 40 to 60 people. Our numbers vary with time of year, weather, etc. If there is food left over we bless the families attending the meal with food to take home. We also have blessed other families TOL is helping or our local fire department. We have a serving kitchen only- meals are to be prepared off site and brought to the TOL warm. We have a warmer to keep the food hot for the duration of the meal. We will need around 6-7 volunteers from your group to help serve the food. 3- 4 people serving the tables and 3 to 4 people preparing the plates in the kitchen. Children are welcome to serve the meals with parent supervision. However, for safety reasons, we request that babies/small children are not brought to the kitchen. Please note your menu on the signup genius page, you may wish to refer to previous weeks menu items to avoid duplication. Group Name/What meal will you bring?